Buy "Snøkorn" (Snow Grains) on iTunes. “Snøkorn” is a collection of songs that aim to capture the melancholy moods and variations of winter. The songs are inspired by nature, accidental events, travels, and Gregorian melodies. A warm album – for a cold season. 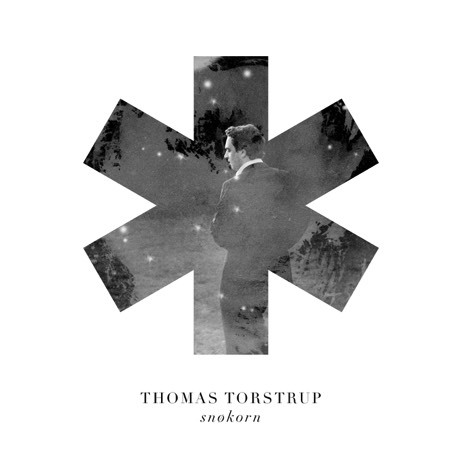 Thomas Torstrup is a Norwegian pianist, organist and composer from Stavanger, with a background from Music Performance Studies (Jazz) at the Norwegian University of Science and Technology in Trondheim. Together with sound legend Jan Erik Kongshaug (Rainbow Studio) he has recently produced the album “Snøkorn”. The participating musicians are known from bands such as Hanna Paulsberg Concept, Heidi Skjerve Quintet, Aphrodisiac, Speakeasy and Jens Carelius. Torstrup has an impressive track record both as a soloist and as sideman. In the latter capacity, he has appeared together with high quality musicians like Karin Krog and Svante Thuresson. In addition, he gives church concerts as an improvising organist, and has done research on alternative uses of church organs during his studies in Paris, Stockholm and Aarhus. The music on the album “Snøkorn” contains tantalizing melodies performed by musicians whose tangible presence enfolds the audience in a delicate emotional interplay.